We’ve got through a lot of kids boots as a family. 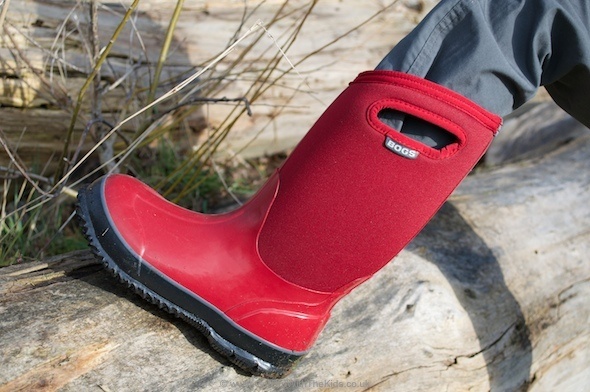 Here’s a new design to the old welly boot that keeps your kid’s feet warm and dry. 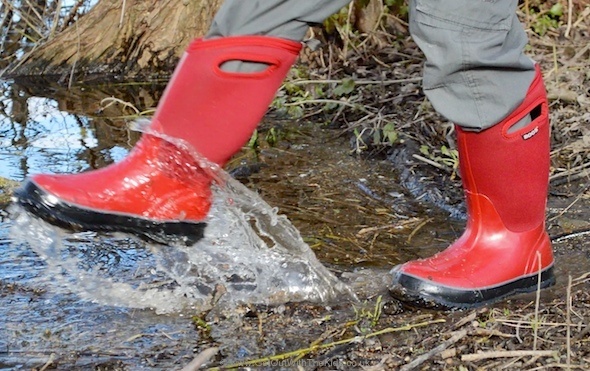 We’ve got through a lot of wellies with our kids, and now we’ve tried these ‘Bogs’ wellies from the US. So what’s so special about Bogs boots? We’ve three kids of different ages, we’ve had our fair share of wellies and hand-me-down boots. 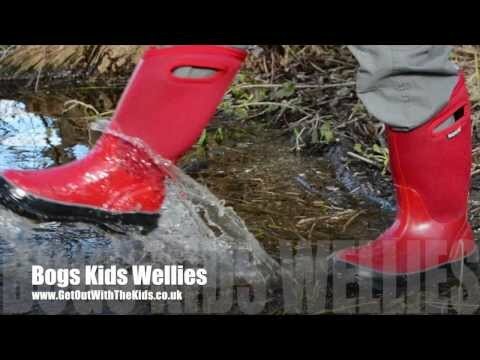 We’ve also covered kids wellies and our recommendations previously on Get Out With The Kids. Well now a US firm ‘Bogs’ has arrived on these shores, and their boots are becoming very popular. So with our ‘middle one’ growing out of her current wellingtons, we gave a pair of Bogs boots a try. If you are used to the traditional Dunlop or Hunter wellington boot, you’ll immediately notice that these boots aren’t rubber all over. For this type of Bogs boot, the Kids Solids Boot, the upper is made with a neoprene type material – the same you may find in a wetsuit. This insulates well, making these boots really warm. They say -30 F on the back of the boot, so no more cold toes when out for a walk in these! The lower part of the boot is covered in rubber and looks more like a traditional boot, but the warm neoprene is still underneath. We found these waterproof, even when getting the neoprene wet, which didn’t soak up the water as a wetsuit would. Bogs say that it is a ‘waterproof Neo-Tech’ lined with ‘Bogs Max-Wick moisture-wicking technology’. All we know is that the water stayed outside the boots. So the verdict? Our kid has found them very comfortable, as well as a bit more trendy than normal boots. We’ve not had them long, but they’ve been on a few walks, as well as surviving a Girl Guide camp in early March. 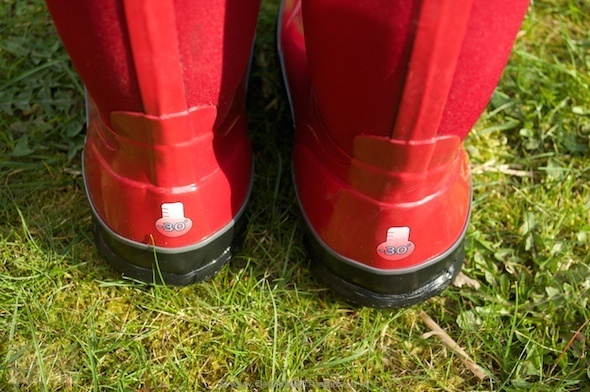 If you want to know more about Bogs wellies, click here to visit Bogs UK. Also, you can find Bogs boots on Amazon. 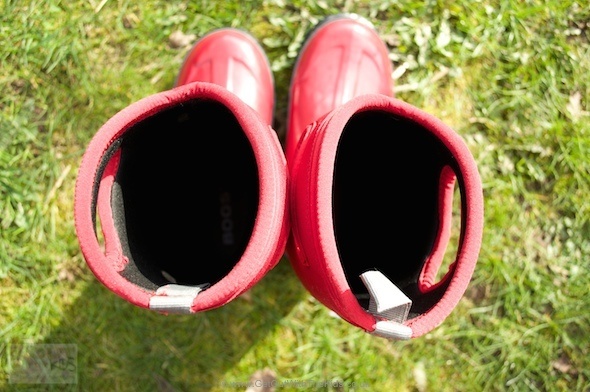 Since we reviewed the Bogs Classic kids boots, Bogs have introduced many more styles into the UK. The Classic boot that we reviewed is still available, but so are many more styles of bogs. Click here to view some other styles of Bogs boots.  Disclaimer: With thanks to Bogs for supplying us with a pair of their great boots so that we could write up this review. All opinions are our own. Hardwearing and good quality - these have been hand-me-downs so two kids have thoroughly tested these boots! 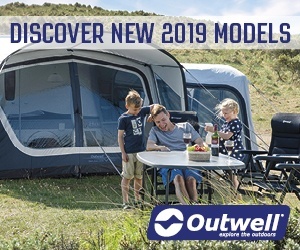 This 'classic' model is more expensive, but Bogs now have other cheaper boots. They really are great wellies, Sam’s had his pair just over a year now. Worn most days for helping with jobs and wet walks, they’ve lasted much better than Neo Hunters which always went on the heel. He never complains of cold feet but they aren’t uncomfortable on warm / wet days. Definitely will buy Bogs for his next pair. Thanks Rob. They are great wellies, our daughter loves them. Hope they last as long as Sam’s.